"Great dentist! I love that he uses the amazing Cerec machine to create your crown or cap in one visit. Great hygienists too.” –Evie K.
Doctor Greg Keene is a different kind of dentist. His use of advanced dental technology combines with a gentle style that will make you and your family more comfortable than you ever thought possible. A doctoral graduate of the prestigious University of Florida School of Dentistry, Dr. Keene continues to attend advanced continuing education, concentrating on cosmetic dentistry, restorative dentistry, and occlusion (or bite relationship.) Yet, despite his extensive focus on clinical dentistry, Dr. Keene takes the time to get to know each and every patient one on one, helping you make informed choices about your dental health. Dr. Keene comes from a family of medical professionals. Both his father and great grandfather were dentists, and his grandfather was an optometrist. Dr. Keene and his wife, Jaimee, have two children and love raising a family in our beautiful state. How Does the Chao Pinhole Surgical Technique® Work? Traditional gum recession treatments involve the use of donor tissue or soft tissue grafts in order to rebuild the gumline. This involves suturing the soft tissue into place so it can heal onto your existing gum tissue. The Chao Pinhole Surgical Technique uses a small needle to pierce the patients existing gum tissue. This small hole allows specialized instruments to gently loosen existing tissue and allows the gumline to expand and cover the exposed root structure. There are no grafts, sutures or incisions needed when using this new technique. It simply involves an adjustment of the patients existing gum tissues. Filling out these forms will save you time when you visit. 255 W. South Boulder Rd. Copyright © All Rights Reserved - Tyson Steele Associates. 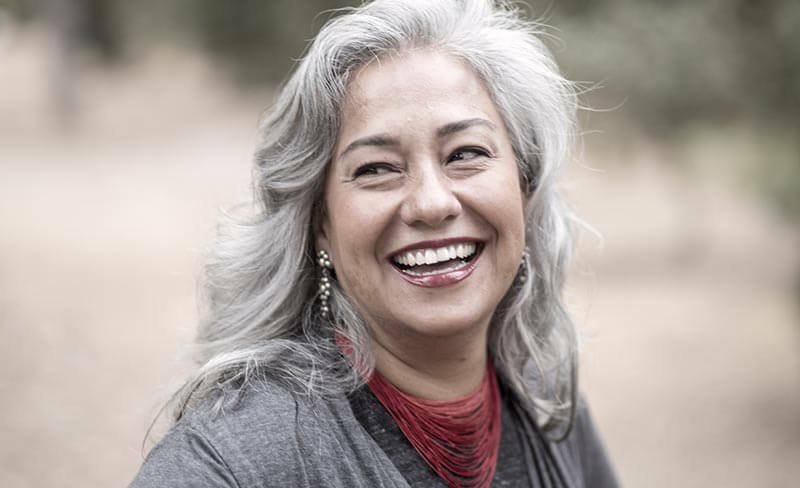 A well made denture is not only comfortable and functions properly; it also allows the wearer to smile with confidence, knowing that their smile is no different than it would be with natural teeth. Creating a cosmetic denture is really an art in the hands of a skilled dentist like Dr. Keene.